see that up there? that's why we have the best photographer. i opened up my front door the other day to go for a run and found a package on my doorstep - a rather large one at that. i stepped back, thought to myself when was the last time i online shopped for something that big and couldn't recall. 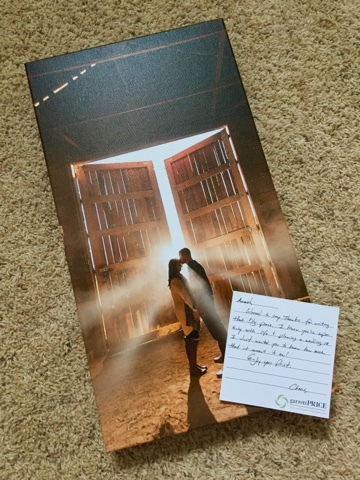 so i opened up the package and there sat this engagement picture on canvas with a sweet note of gratitude from our wedding photographer, garrett price from carolina portrait designs. since i enjoy blogging, garrett had asked me to write a post for his blog to help some brides on picking out engagement outfits - what works, what doesn't, things to keep mind per season, etc. peep the post here!